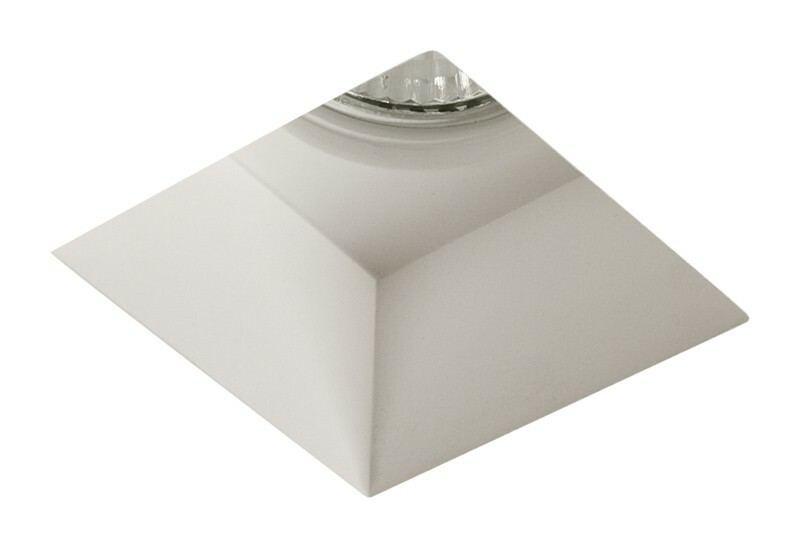 This recessed downlight features a current and modern square design making it the perfect contemporary addition to any room in your home. It utilises a powerful 50 watt GU10 lamp which casts an attractive illuminating glow over your entire room. Adding multiple square recessed down lights can be an effective lighting solution for your home as well as an attractive lighting feature in any room. This recessed interior downlight also features a plaster finish making it durable enough for any room in your home, including the bathroom, and easy to clean.